Vom 14.06.2017 bis zum 15.06.2017 wurden 20 Knowledgebase Artikel veröffentlicht. Unable to replicate successfully from a Connection Server to any other Connection Servers in the replicated group. When you run this command, you see this LDAP error:repadmin.exe /showrepl localhost:389 DC=vdi,DC=vmware,DC=intLDAP Error 81(0x51): Server DownDsReplicaSync() failed with the status 8452 (0x2104)The naming context is in the process of being removed or is not replicated from the specified server. This article provides information about vSAN 6.0-6.5 memory consumption and a variety of example scenarios. 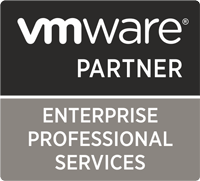 This article provides information on frequently asked questions regarding sales, licensing and the compatibility of VMware Fusion 8.x. Data migration fails due to an incompatible solution. You are able to install the solution or management pack in VMware vRealize Operations Manager UI. There is no way to uninstall the solution or management pack from VMware vRealize Operations Manager UI. This article provides steps to rebuild an ESXi host that previously participated in a vSAN (formerly known as Virtual SAN) cluster. Database shows read only mode though we can make changes to vIDM configurations: Change entitlement Add/Remove Users /Groups/application, and so on. Under SaaS Database Properties, the Database Read-Only is set to False. In the horizon.log file, you see entries similar to:ERROR (main) [;;] com.vmware.horizon.datastore.impl.DbConnectionCheckServiceImpl – Error connecting the databasecom.microsoft.sqlserver.jdbc.SQLServerException: There is already an object named ‚id_pkey‘ in the database…. This article provides information about End of Availability and End of General Support for VMware vCloud Networking and Security 5.5.x. After patching an ESXi 6.0.x host to the patch bulletin ESXi600-201706103-SG from ESXi600-201706001,you may notice following symptoms.